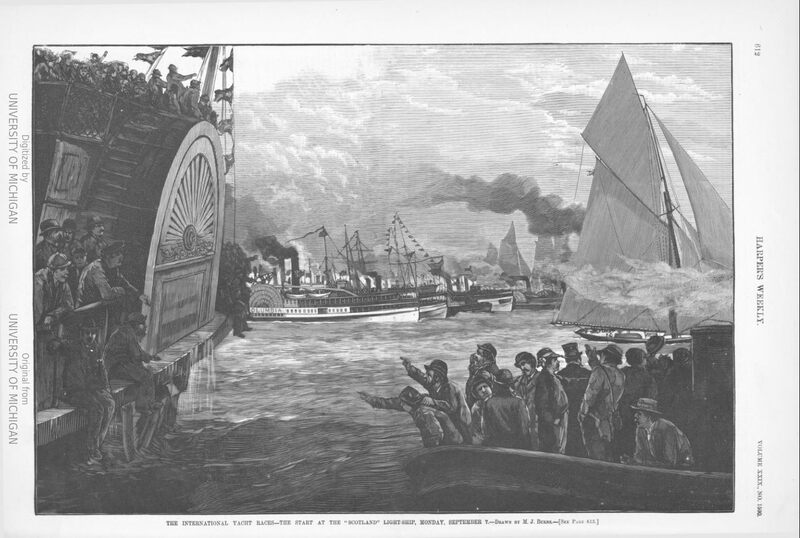 Antique engraving titled, THE INTERNATIONAL YACHT RACES - THE START AT THE "SCOTLAND" LIGHT-SHIP, MONDAY, SEPTEMBER 7. drawn by M.J. Burns. Published in "Harper's Weekly" Sept. 19, 1885. Dimensions in inches, 10 1/2 x 15 1/4.